Wednesday’s Bicentennial event includes the Special Board Meeting, Lawn Reception, Postal Cancellation and more. Events will conclude at 3:00 p.m. All are invited to attend. The event will also be broadcast live in a special tent on the grounds outside the Courthouse. There will be seating and audio-visual services for those attending. 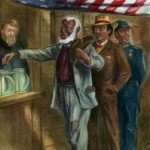 On March 12, 1813, the legislators of the State of New York signed into law a bill that would remove what is now Warren County from its parent county, Washington. The new jurisdiction was named for Revolutionary War General Joseph Warren. At the time of its formation, 9 of the current 11 towns were already operating their municipal governments. Since 2009, officials and members of a Bicentennial Citizens Advisory Committee have met to identify and plan events in celebration of the county’s bicentennial. The committee’s mission is to identify, plan and coordinate events and programs to commemorate 200 years of growth and development. 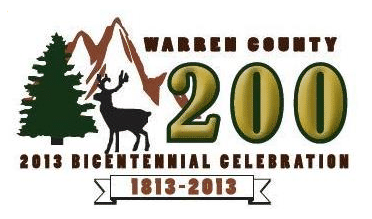 The Warren County Bicentennial webpage includes an event calendar, photo galleries, a student history quiz.